Here, we’ll present the value of turning to the IT experts that we have here at ISC for your business’ technology needs. These values can effectively be broken down into three essential qualities that our services - known as managed services - are built around. Regardless of a business’ size, this is a primary concern: are they able to sustain their operations at a rate that means that they can remain open? This is one of the reasons that productivity is such a big buzzword in IT - the influence a given solution can have on a business’ productivity can easily make or break it over time. Try asking your employees how much they can accomplish if their computers don’t work - they’ll probably tell you how important an operational solution is to your business in no uncertain terms. With a managed service provider (or MSP) like ISC managing your solutions, you can be sure that your technology is maintained. This way, your employees won’t find themselves stymied by technical issues out of their control. Let’s face facts for a moment - business owners today have a lot to worry about. Once upon a time, a business could be protected by storing their documents in a safe and keeping the combination a secret. However, in today’s increasingly collaborative world, the safe has been made impractical. This means that your data needs to be both accessible to those who need it to meet the productivity standards we discussed above, as well as secured against cyberthreats and other risk factors, like data loss. An MSP like ISC can implement the various solutions needed to ensure that this balance is achieved, allowing you the security to focus on your business. With the confidence that our services and solutions--including integrated security measures and business continuity with backups--can provide, you can breathe easy, knowing that your data stores are secure. As you may have noticed by now, most of the qualities of an MSP’s services that we’ve discussed thus far revolve around you receiving the managed support that gives providers like ISC their self-explanatory title. However, that only scratches the service. When your MSP’s team is made up of experts like ours is, you not only have professionals providing your business with support… you have professionals supporting you. Unlike many other IT service options, the more successful our clients are, the happier we are. After all, that means that our solutions worked for them, only reinforcing the proof that our options are the right ones to leverage. Furthermore, you can be sure that if you do experience a problem with your business technology we’ll come correct to fix it. Again, our success is determined by yours - so if something doesn’t work, that’s a problem for us… and frankly, our professional egos aren’t going to let us overlook a problem like that. It only makes sense to turn to an expert for issues that you want taken care of correctly, for these reasons, and many more to boot. This is only more apparent when your information technology is involved. The “expert touch” is a real thing, and can make a real difference. 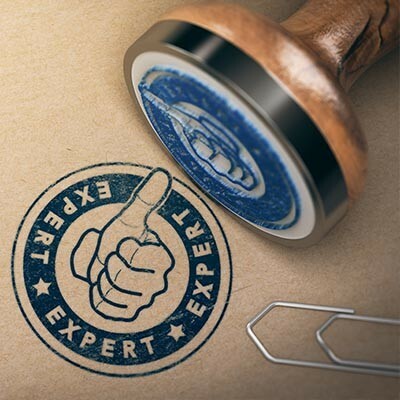 Interested in finding out the difference that an expert touch can make for your IT services? Reach out to us at 502.292.5097.